Outlook users will now be able to view details from their contacts' LinkedIn profiles right from their inbox. 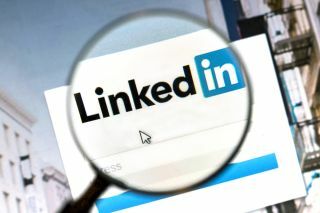 One year after Microsoft announced that it would be purchasing business networking site LinkedIn , the company has revealed that a number of its features have been integrated into Outlook, allowing users to view profile pictures, work history and insights right from within their inboxes. Starting today, the new Outlook integration will let users click on the name of one of their contacts to bring up a detailed contact card containing a link to their profile on LinkedIn. This mini version of their profile resembles their pop-up Office Profile Card and will show shared work experiences along with other useful information like mutual connections. You will even be able to connect with other users on the social network right from within your inbox. The new integration will roll out first on the web at Outlook.com as well as on OneDrive for Business and SharePoint. Outlook for Windows and Outlook for iOS will also be receiving the update with other Office products following shortly after in the coming months. LinkedIn integration on Outlook.com will start from today and Microsoft expects it to be available for all customers by the end of the month. The news follows a demo last September from Microsoft CEO Satya Nadella which showed off how users of the commercial version of Office 365 (with their own Linkedin profile) would soon be able to view details from other users' LinkedIn profiles from within a number of Microsoft's apps and services.